When Dr. Gordon West of Gordon West DDS, Cosmetic & General Dentistry in Lafayette repairs a tooth that has decay or damage, the procedure chosen often depends on the location of the problem. (We’re talking tooth-specific locale here; it doesn’t matter whether you live in Longmont, Louisville, or Broomfield.) If there is a chip, crack or cavity on the biting surface of a tooth, an onlay or inlay is often used to restore the tooth. Inlays and onlays are a type of tooth restoration used successfully at Gordon West DDS, Cosmetic & General Dentistry. They are usually bigger than a conventional filling yet smaller than a complete dental crown. An inlay is used to fill an area inside the cusp tips or bumps of a tooth. An onlay covers an area that includes more than one cusp. At Gordon West DDS, Cosmetic & General Dentistry, the inlays and onlays we place for our Longmont and Louisville clients are indistinguishable from their natural teeth. 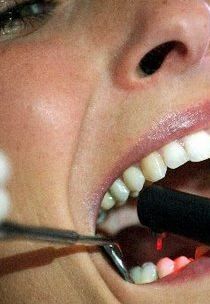 Dr. Gordon West has the finely-honed eye for detail and complete mastery of dental aesthetics to create an exact match. Call 720-862-3630 to book a cosmetic dentistry consultation today. Dr. West is also a sedation dentist.